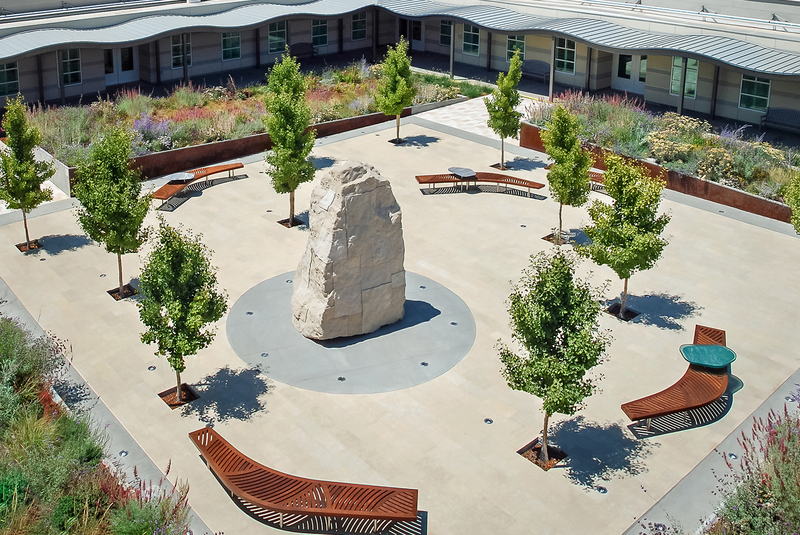 Building 520, an in-patient mental health facility, was selected by the Veteran’s Administration as the first site in a campus-wide public art initiative. RHAA was engaged not only to re-design the courtyard but to facilitate a juried process to select artists for the site from a pool of candidates responding to a federal RFP. 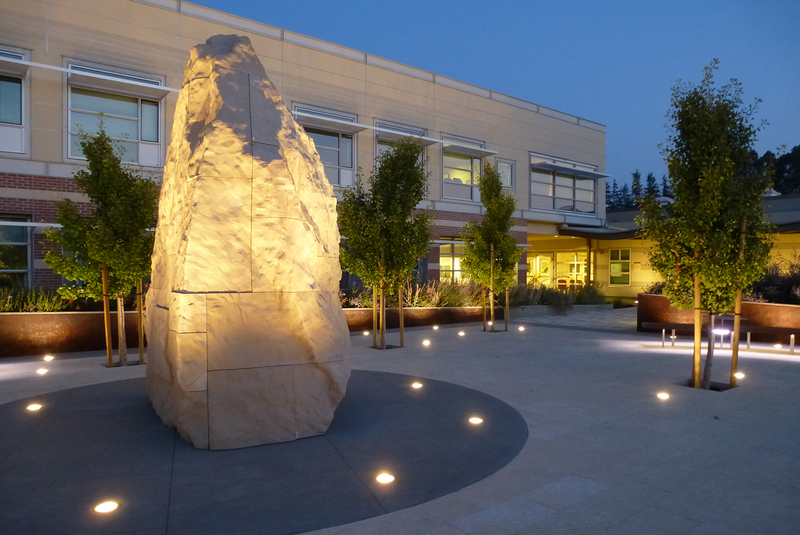 The courtyard is a calming, contemplative garden setting for patients, visitors and staff. At its heart is a stone sculpture created by artist Philip K. Smith. The courtyard frames the sculpture and amplifies the message of self-discovery and transformation. 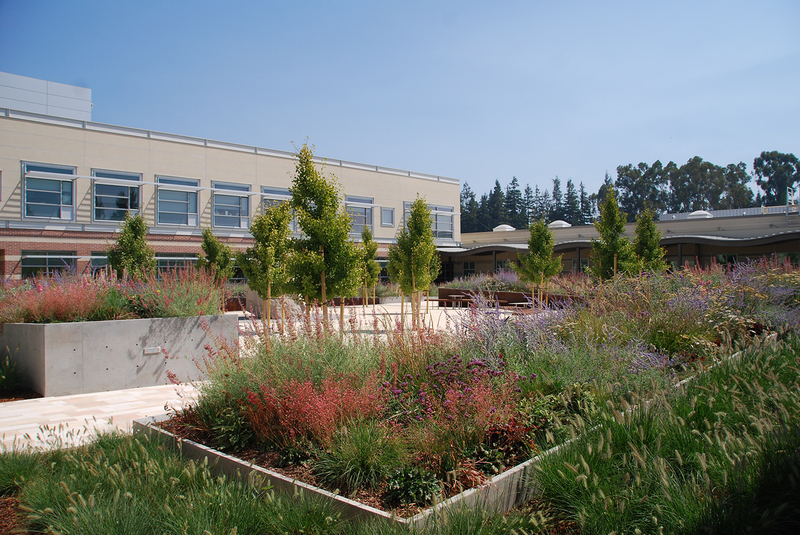 Tilted raised planters emerge from a field of grasses, evoking the rolling hills surrounding the medical facility. The colorful and textured perennials and grasses filling the planters, as well as the grove of ginkgo trees at the center of the courtyard, will change with the seasons.